Search Engine Optimisation, or SEO, is the blanket term used to describe the process of increasing the number of hits your website receives by attempting to make your site appear high up on a list of search engine results. Optimising your website for search engines just means that you're making changes to your website based upon what Google or another search engine ranks higher. Why is Search Engine Optimisation important for my business? Businesses without dedicated sales teams are likely to depend on word of mouth, recommendations and search engines for customers to discover them. Ranking high in search engine results could be the difference between a customer finding your website or the website of your competitor. Although you can pay sites like Google to rank you higher in search results, users can doubt the credibility of sites who rank high in the advertisement section and not organically. Ultimately, the way that websites rank higher in unpaid search results is to provide the best match for the word or phrase that the user has entered in the search bar. This can come down to the content of your web page, such as making sure that both text and headings match the search term. It could also be due to your sites HTML and coding, the amount of backlinks within your site, or even if your site is optimised for multiple devices. 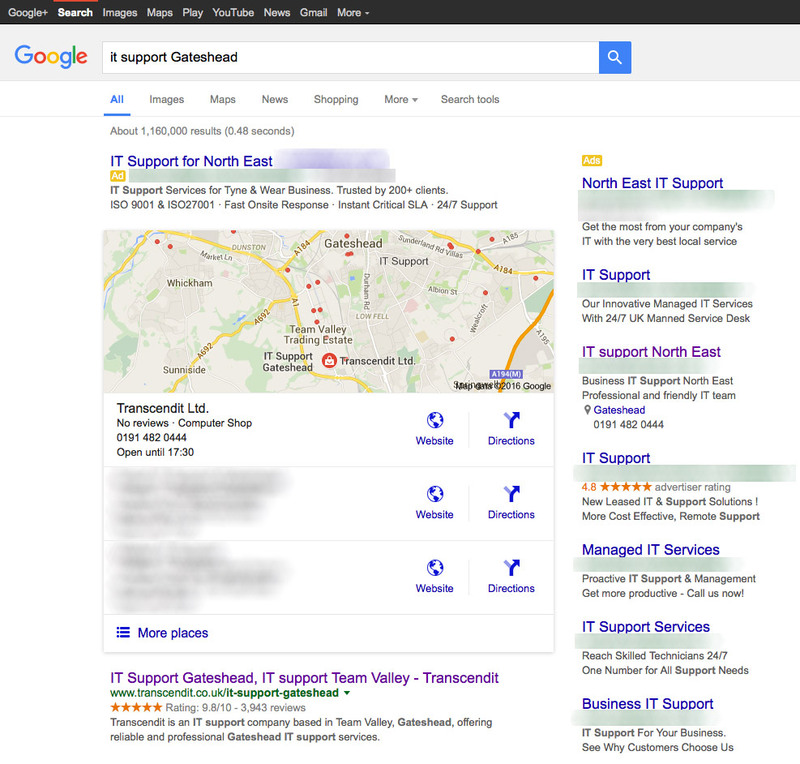 If you think that customers aren't finding your website as often as they should, Transcendit can help. We understand how vital SEO is for bringing customers and clients to your website, and can discuss with you the ways you can improve your search engine rankings without completely changing your website and its content. Instead, Transcendit can make changes to ensure that your content works with search engine algorithms, rather than trying to work around them.